The final game of the Guinness Six Nations brought Scotland to Twickenham Stadium in the final clash of the series. Our guests were welcomed to The Green Room with a drinks reception before making their way to their tables. Before the main entertainment began, our guests had the chance to mingle with our rugby ambassadors and panel members Mike Tindall, Lawrence Dallaglio, Jim Hamilton and Sir Clive Woodward. 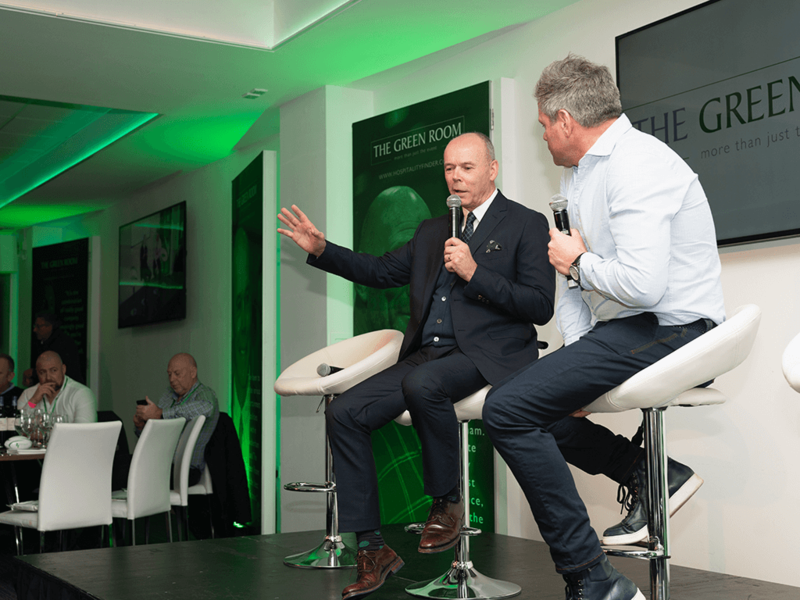 As Mark Durden-Smith asked guests to take their seats, he began his first Q&A with Sir Clive Woodward. During the session he predicted that it would be close between the two teams and with Wales currently on their winning streak, he wanted Ireland to steal the win but he said his head was saying Wales. Mark even described Sir Clive as the Theresa May of rugby! Although Wales managed to steal a win against their opponents - resulting in them winning the Grand Slam and the Guinness Six Nations - guests were still prepared for an intense game of rugby from both the England and Scotland squads. While Mark moved onto probing our ambassadors Mike Tindall, Lawrence Dallaglio in addition to special guests Wayne Barnes and Jim Hamilton, our guests tucked into their gourmet lunch. Jim gave a summary of what to expect from the forth coming game as Tindall recovered from his week with us at the Cheltenham Festival! Mark then went onto ask what the other members of the panel thought and even questioned Wayne to find out the truth of his football cheating rumours! Before leaving to take their seats within the stadium, our celebrity guests had not gone unseen. 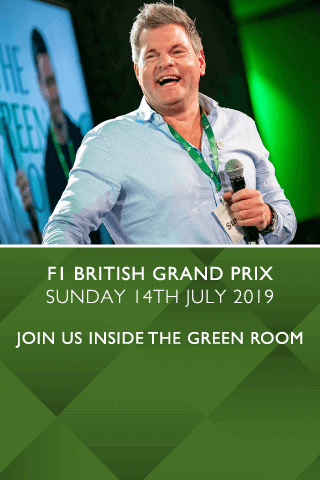 Joining our VIP guests was TV Presenter Jenni Falconer, Loose Woman Presenter Denise Van Outen, Location, Location, Location presenter Phil Spencer, Radio Presenter Georgie Bingham and former Heptathlete Kelly Sotherton. England made a great start in the match managing to secure a new record in the Guinness Six Nations for the squad, scoring their highest result in a first half. With such a strong lead on the Scots, the competition wasn’t giving up. What a comeback from the Scottish squad equalising the final score and finishing on 38 – 38. As guests returned to The Green Room they were treated to post-match food along with their pre-ordered drinks waiting for them. 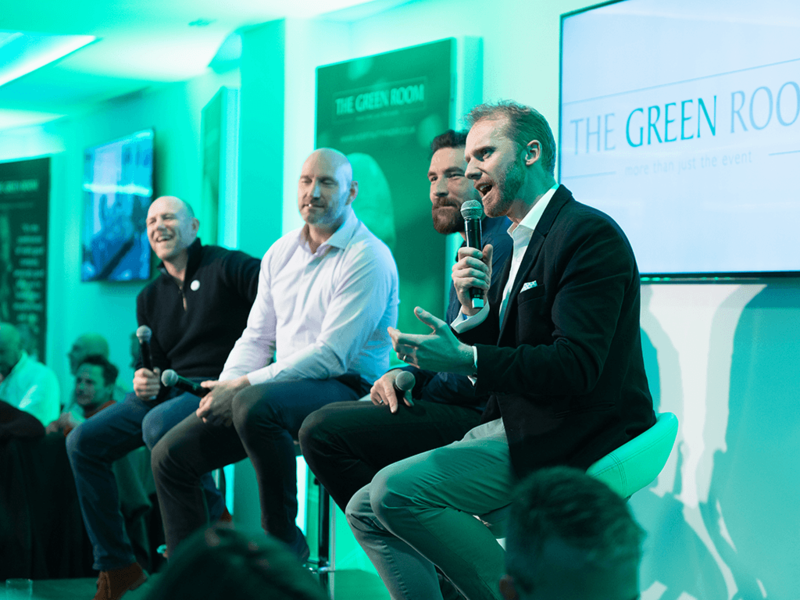 Mark took to the stage once again with the pre-match panel members Tindall, Dallaglio, Hamilton and Barnes. They analysed what both teams did well, not so well and shared their opinions on the game. 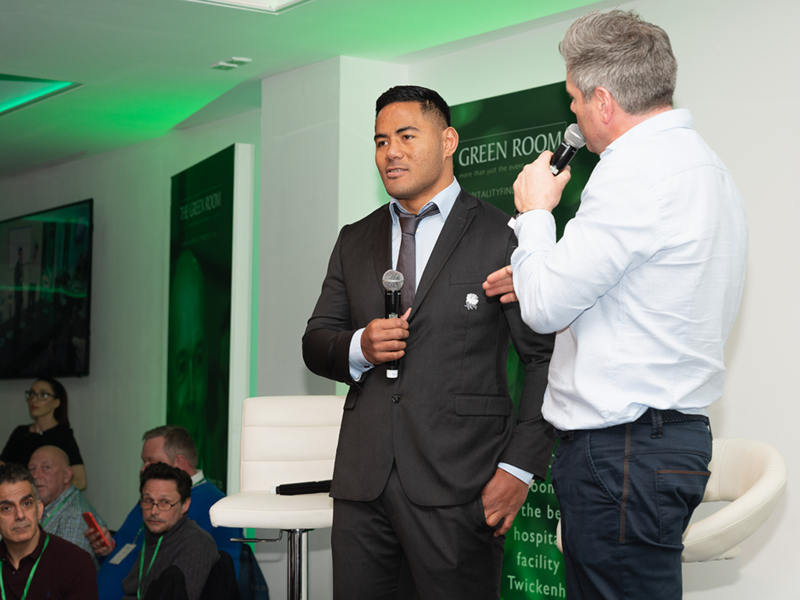 Guests of The Green Room had one last surprise, post-match player Manu Tuilagi, who was welcomed into the facility and onto the stage. Some guests were even lucky enough to grab a selfie! Greig Laidlaw, a Scottish rugby player, also joined us and almost managed to go undetected at the back of the room! This August we will be back at Twickenham Stadium following the England Squad as they take on Ireland and Wales in warm-up games in preperation for the Rugby World Cup. Will you be there?